4th St. Rd. & 43rd. Ave.
Small course through an area drainage park. Tree lined fairways, a small pond, and a small creek. Some sidewalks and the creek are OB. Alt. pins and many alternate tee options. 2009 redesign. From I-25; take US 34 East to the business loop of 34. Continue east to 43rd Ave. Go north to a left on 4th St. Rd. 1st tee is 300' from the corner on the south side of the park, just past the bridge under the large Oaks. Short grass park makes this place excellent for beginners to get control of their discs. This is my home course. If you see a supermoto or bus parked there stop by and say hay. May have to play a few rounds together. As for the actual course it has some long drives and good tree obstacles. A little water hazard but nothing you have to chance a disc over (unless its a derp toss). The tee box's and holes are becoming run down. The holes are still the old single set of chains as well. Each hole can be moved to several different locations but rarely are changed. Great practice course but not one to travel and visit. 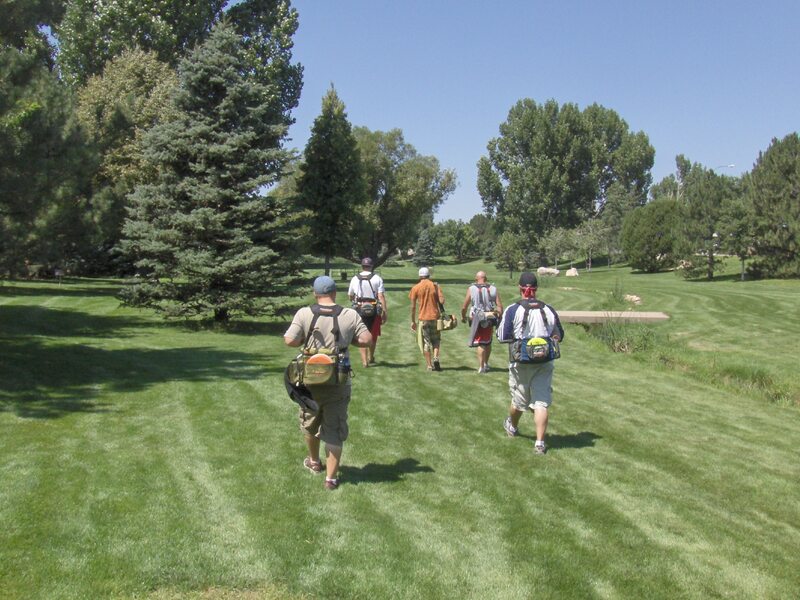 Unless its the closest course to you there are better places to play in Greeley. I will update this if anything changes. Hoping there holding back to save up for some new equipment. Course has enough foot traffic to support the upgrade. This course sits in a small park, but has many ways to shoot around it. 3 Rivers Disc Golf Club added new pin positions in late 2009. The new pins are tougher to hit than the originals, with the exception of a few. Safari options have been expanded by virtue of this improvement as well. Don't let old opinions sway you, come on out and take a tour of the new course to see for yourself. I enjoy this course on a regular basis and now have many new looks to explore and conquer! !